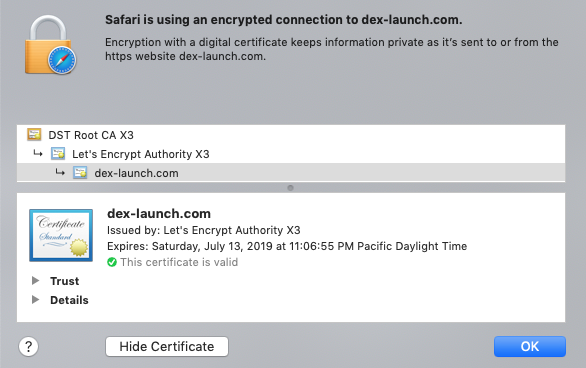 Everyone has been trained to look for the padlock — so it’s easy for threat actors to trick people into a false sense of security using a free DV SSL certificate that’s issued without any form of identity verification. … it’s not detected by any other security solution that I tested either. But I don’t expect it to be — it’s technically impossible for any security company to detect every new malicious URL — IMPOSSIBLE. It doesn’t matter how much AI, computing power or machine learning technology that’s being utilized — it’s still impossible. Companies that pay for multiple solutions from the biggest companies in the world say that phishing is still a massive problem for them. 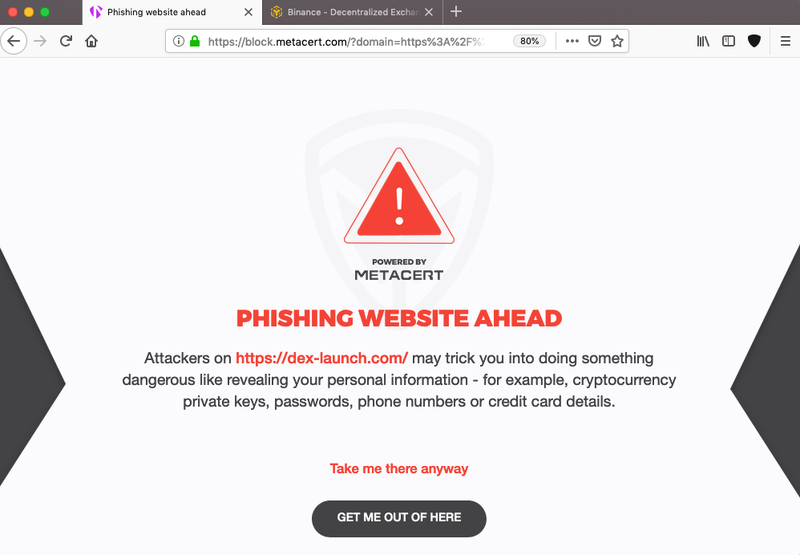 Below is a screen shot of what happens when you now try to access the phishing site using a MetaCert product or service, or if you use an app or security service that has integrated our patented SDK or API service. N.B. 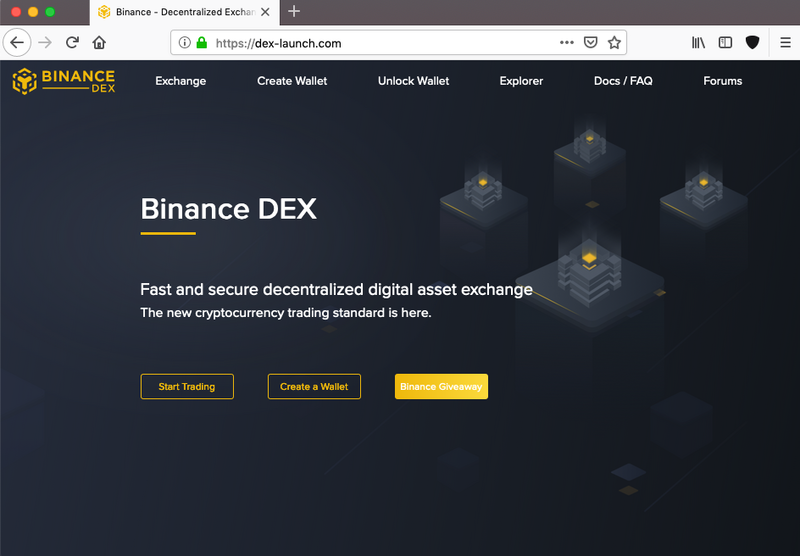 this site was accessible while using our products and services before a member of our community reported it to us — at which point we classified it. Again, it’s technically impossible for any company to detect every new threat — that’s why we do things VERY different. 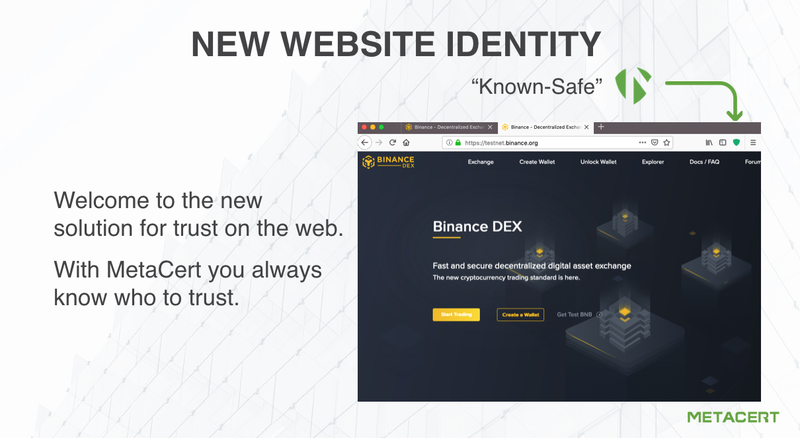 Keep reading to see into the future of anti-phishing protection and a new way to trust website. Don’t judge us by what you see on metacert.com — it’s terrible and doesn’t display anything that we have built or sell. But that will change in a few weeks. We can classify URLs in a way that other companies can not. But I won’t bore you with the details surrounding that. 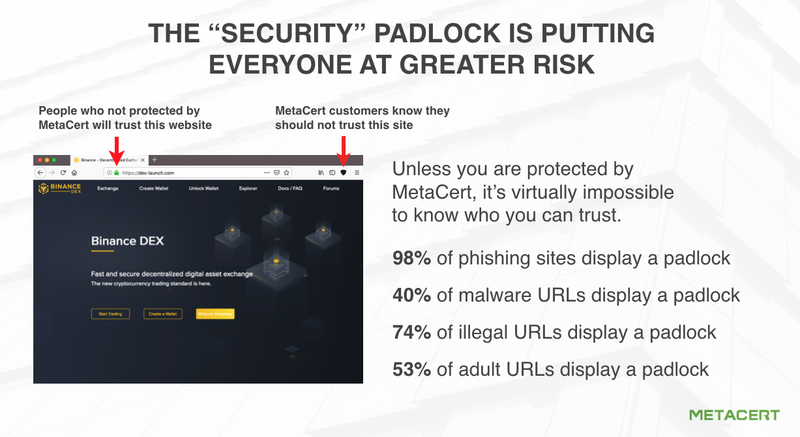 MetaCert is completely different because, we believe trying to detect and prevent new threats by itself, is a losing battle. As you can tell from this article, not a single solution we tested blocks this phishing site. And most phishing sites last for only a few hours — that’s all that’s needed for them to get the job done. So by the time a phishing site is taken down many more pop back up again. It’s like playing a game of whack-a-mole. At MetaCert we focus on “VERIFIED-AS-SAFE”. In other words, while protecting you from known threats, we will tell you with 99.999% certainty, when a URL is verified as safe. And we have verified many millions of them — focusing on the websites that you should care most about. When using one of our security integrations for desktop internet browsers or native email apps, you will always know when it’s safe to open a link and sign into a website. We provide you with a new shield that turns from grey to green whenever you visit a site that is safe. We make it virtually impossible for anyone to fall for a phishing scam. In fact, we can assert thus far, not a single person has fallen for a phishing scam while protected by MetaCert. Look at the screen shot below, this site displays a grey shield on the toolbar — every MetaCert customer knows that this means “caution” — especially if it’s likely to be verified and therefore likely to display a green shield. 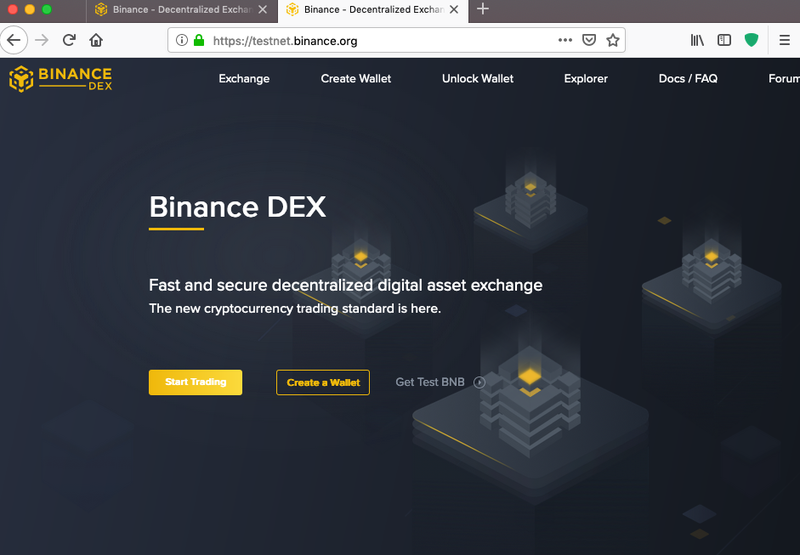 Below is what the real Binance DEX website looks like when you’re protected by MetaCert. If the shield is green, you know you’re safe. That’s it. Simplicity for the consumer, because it’s outrageously well engineered on the backend. 👉 Install MetaCert for desktop support here. 👉Install MetaCert for native email protection here. MetaCert builds tools to help protect people from phishing attacks.